Buddy says "Please Add A Photo & Story To Our Guest Book!" Visit Our Original Guest Photo Page Too! This is a Brand New Page for all our Guests to add their Pampered Pets to our website. 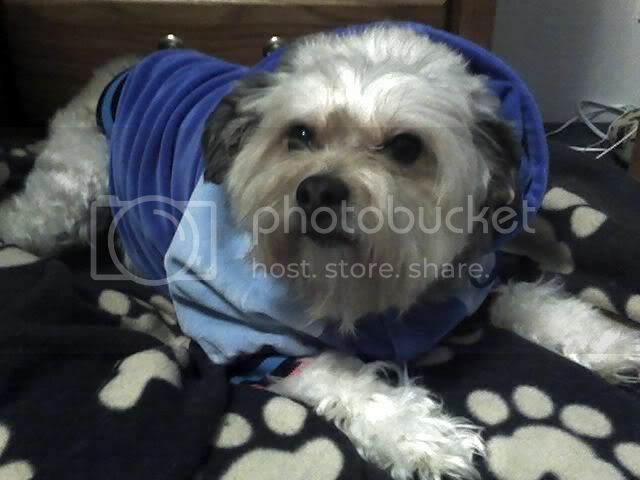 A special place to show your Love for your pet babies with photos and a story, if you like. Everyone is Welcome here! Lady is the Cocker Spaniel and she is 10years old, Libby is the Cavalier King Charles Spaniel and she is 5 years. They are my best friends and love to be pampered, they have dresses, coats, parkers and posh bowls, my favourite is there hat and scarf. My name is Julie and I live with my poochies in Winsford Cheshire. Shilo was rescued as a kitten along with his sister Shila. Booger was a hungry, sick, abandon kitten found by the families son. Now Booger, Shilo & Shila have grown to be healthy thriving Beautiful cats. The three cats live in Fircrest, WA with their Family. Click on Shilo's photo to enlarge it and see their cat Booger hiding on the floor :o) use the back button to return to this page. Tigger is a Maincoon from Puyallup, WA who loves his Dad Rick a lot! Pookey Bear is a spry old girl for 16yr. who keeps up with Samantha, one strange kitty! You see, Samantha is an attack cat..... watch out if she acts like she wants a scratch on the head..... she'll attack! But She is Awful Cute! Pookey & Samantha live in Puyallup, Wa with their Mom & Dad. No...You Can't have it! It's My Scratch box, Samantha!" "HO HO HO" ~~~~~ "Meet Misty the Bishon"
"Now, How Cute is That!" Thank You For Sharing All Your Beautiful Pampered Pet Babies!